Did Pope Francis just endorse the Common Core? Thought that the battle over Common Core was only being fought by public school parents? Think again. 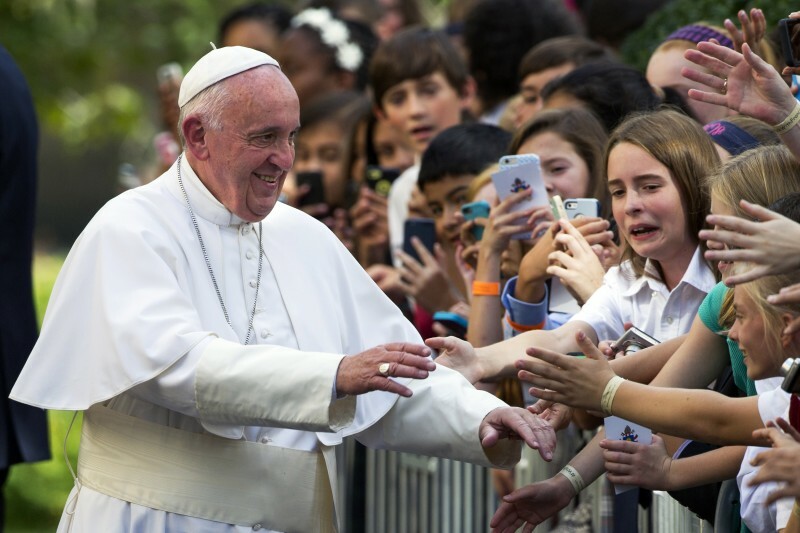 Thousands of Catholic schools across the country – including the one Pope Francis visited this week – have adopted the controversial math and English standards, to the consternation of some Catholics. The pontiff’s visit to Our Lady Queen of AngelsÂ in East Harlem* comes at a time of infighting among Catholics over the Common Core, which has also been adopted by 44 states and the District of Columbia. A small but diligent group has argued that the Common Core is simply incompatible with a good Catholic education, while over 100 archdioceses and dioceses – from New York to San Francisco – disagree and have approved of the standards being used in the schools they oversee. Much like opponents of the standards’ use in public schools, detractors argue that the Common Core are untested standards that were crafted by a group of so-called experts who don’t know what’s best for their kids. Over 130 Catholic scholars agree with Reilly and earlier this year they signed off on a letter sent to every Catholic bishop in the country. On the other side is the National Catholic Educational Association – which has received over $100,000 from the pro-Common Core Bill & Melinda Gates Foundation (The Gates Foundation is among The Hechinger Report’s many supporters) – arguing that just like public schools, Catholic schools would benefit from a common set of high standards like the Common Core. Supporters say many students from Catholic elementary schools end up in public high schools so teaching to the Common Core better prepares students for success in high school. Some Catholic schools also voluntarily administer end-of-year state tests aligned to the Common Core – leading critics to worry that pressure to get math and English scores up will relegate religion class to the sidelines. But after years of losing students to public and charter schools, many Catholic schools feel more pressure than ever to prove that the tuition bills are worth it. During the week of the Pope’s visit, the Archdiocese of New York touted that its schools were outperforming public schools on state tests. *Correction:Â This story has been updated to correct the name of the school the Pope is visiting.